352 pages | 14 B/W Illus. 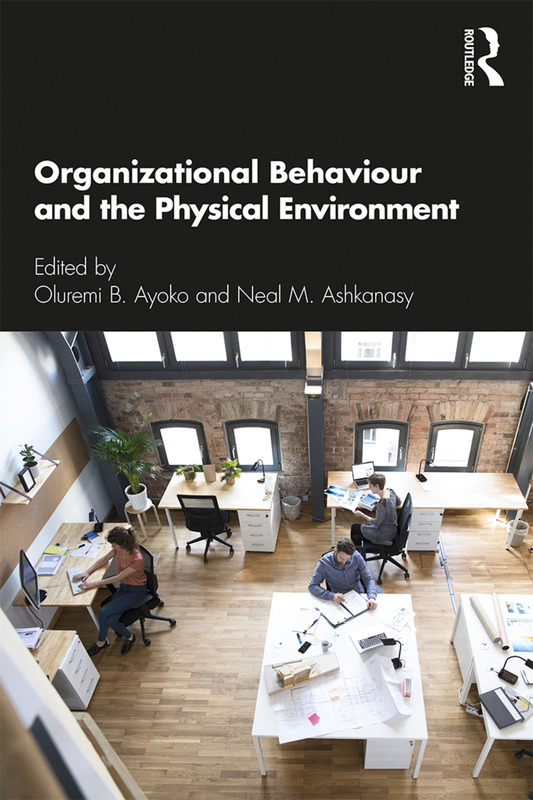 This book looks at how the physical environment of work shapes organizational behaviour, demonstrating that our physical surroundings at work can have a big influence on employee productivity, performance and wellbeing. Drawing upon the latest research, Organizational Behaviour and the Physical Environment provides comprehensive coverage of the different aspects of the physical environment at work – the buildings, furnishings, equipment, lighting, air quality and their configurations. From theories of psychological ownership and work design, to cultural issues and technology in the workplace, its international range of contributors provide voices from Australasia, North America, Europe and the Middle East. This book will be invaluable supplementary reading for advanced students, researchers and practitioners across the fields of organizational behaviour, HRM, organizational and environmental psychology, and workspace design. Oluremi B. Ayoko is an Associate Professor of Management at the UQ Business School, University of Queensland, Australia. Neal M. Ashkanasy is a Professor of Management at the UQ Business School, University of Queensland, Australia.